These preschool science activities_nature will help to engender a life long love for creation. When studying nature you are actually teaching your preschooler to be attentive to the world around them. 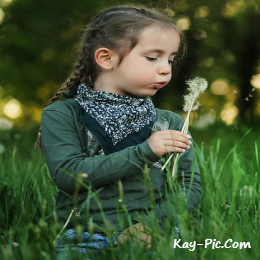 While it is great to just get out and walk and let your little one run and play there are also other times when you can go out into nature with a specific purpose. Sometimes we just go to collect pine cones for a winter fire, other times we go to a stream to look for tadpoles or often we just spend time in our own garden encouraging wildlife to visit and watching them when they do. Collect and press flowers and leaves.The flowers can be used to make cards and book marks. Sort the leaves into shape, or vein pattern or color. Stick them on card and talk about the differences. Talk about the basic living principles: Can it breathe? Can it move? Can it grow? Does it eat? 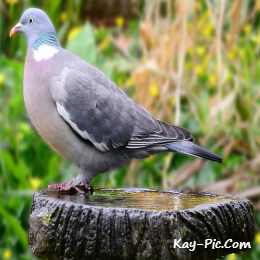 Encourage birds to visit your garden by having a bird bath and bird feeders. Make a simple bird feeder on a flat piece of wood, suspended from its 4 corners with wire and hung in a tree. You can also make a pine cone feeder:Smear a dry pine cone with peanut butter, roll in birdseed, tie in a tree. They feed their babies milk from their own body. This is our favourite of all preschool science activities with nature! When in your garden dig over a small patch of earth and look for all the living creatures you can find. If you have lots of leaves that have fallen gently move some aside - you should find a host of critters! If you do not live in a scorpion area, lift over stones to see what is underneath! Instruct your child firmly about lifting stones. This is not only a scorpion concern but many spiders also live under rocks. The seashore is a wonderful place to visit where your child can store up a vast knowledge of information. Shell collecting is not what it used to be but often you can find a reserve where you can view crustaceans and bivalves in their natural habitat in rock pools. 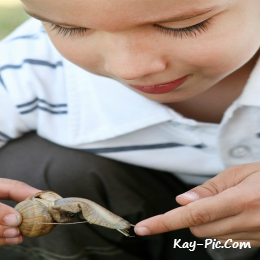 All my children enjoyed nature collections at some stage in their lives. One of my children collected sticks  lots and lots of sticks! Another collected and pressed flowers. Another spotted fallen nests and empty egg shells and collected those and my older son still collects rocks. Make a place where your child can collect and display their choice of nature finds. Be sure to visit my seasons craft pages for more preschool science activities on nature.